Panasonic GH5 with XLR unit and Sennheiser AVX-MKE2 radio mic receiver recording 4K 25p 422 10bit with Apple iPad PRO. 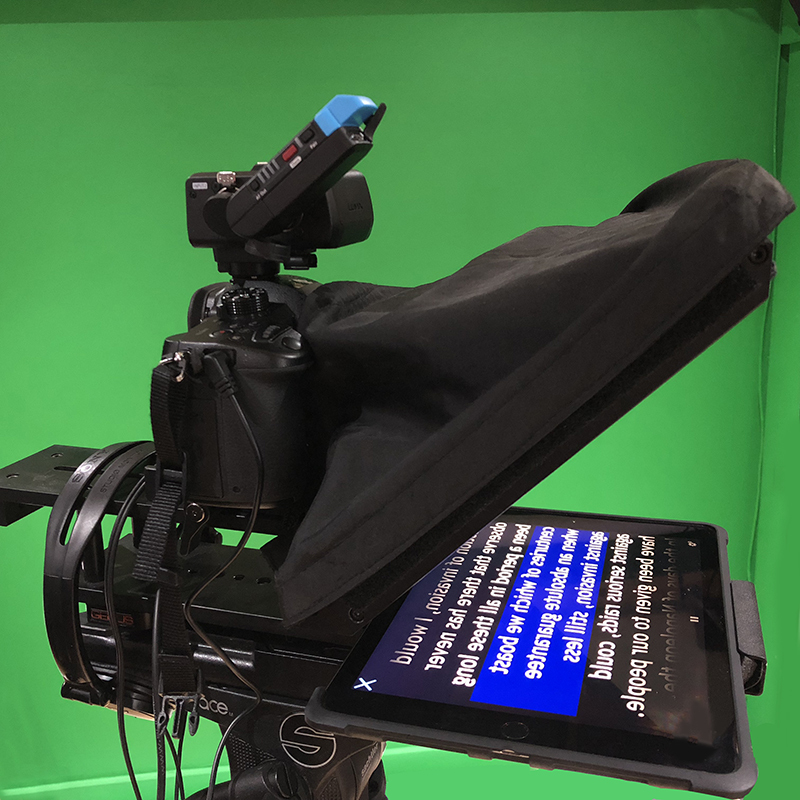 Teleprompters allow you to deliver your message quickly and convincingly. PromptSmart’s VoiceTrack technology provides key support to small business marketers, video producers, youtubers, teachers, business professionals, radio hosts, or podcasters in a way previously reserved for well-resourced professionals that can afford expensive rigs and personnel to operate the teleprompter. PromptSmart users frequently praise our software because it reduces time spent recording take after take trying to keep up with a pre-set scroll speed. If you’re on a budget or trying to film by yourself, there is no better companion than PromptSmart because VoiceTrack starts and stops at your desired pace. 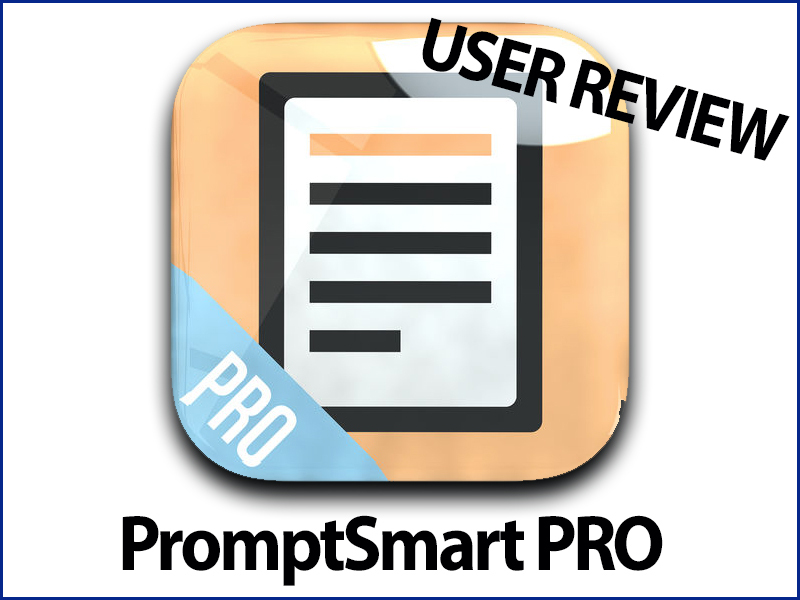 PromptSmart Pro comes loaded with an optional paid subscription service ($1.99 pm) unlocking features, including: a Remote Control, File Sync, and Bulk Import! 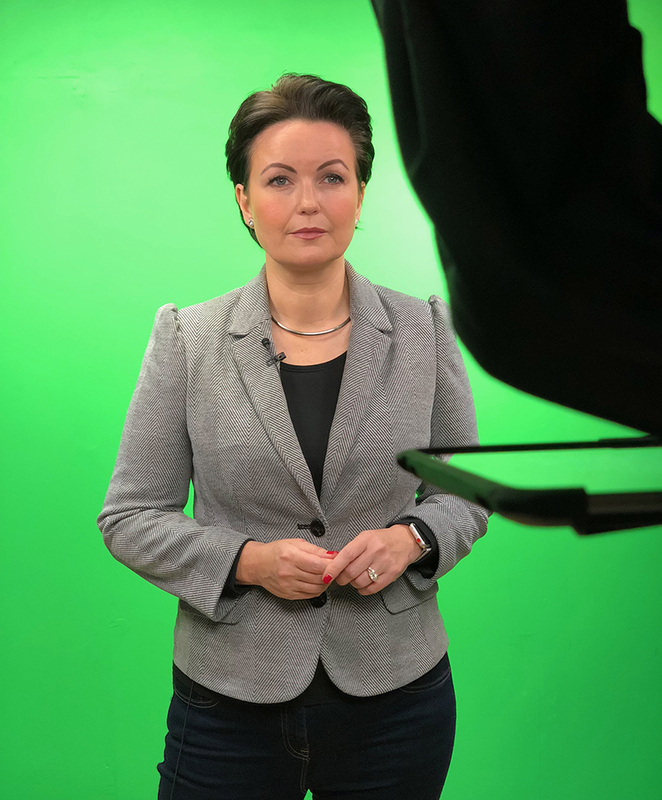 Rachel was very impressed with the new prompter software but as I added its only useful in a quiet studio environment. LIKES… I think this VoiceTrack speech recognition technology is fantastic when it works, to be fair it only let us down a couple of times by forgetting to scroll. My presenter a seasoned broadcast journalist Rachel was very impressed. DISLIKES…If you want a remote control option you have to buy a monthly subscription for $1.99 a month which is not a lot of money if you are constantly using this software but only in a quiet studio environment. As you start the program it listens for external sounds which would not work in a busy, noisy environment, so the voice activated part is limited to a quiet environment. The FUTURE…I would prefer the makers to allow small users like myself to buy the remote option rather than a continuous monthly subscription. As video professionals we are fed up being forced to RENT monthly software like Adobe Photoshop etc. There seems to be a need for companies today to get monthly subscriptions rather than a buy-out. I bet it’ll never work with a Yorkshire accent. Ha! HDW : I never gave accent a thought.